Kristl Thompson was born and raised in the heart of the Midwest. She spent her days wandering the woods surrounding her home, absorbing the scenery which would eventually become the background of Buthania. 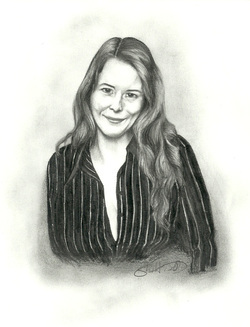 Her love of the written word grew from a young age, writing poetry, short stories and sequels of her favorite books, and continues to this day, reading novels of every genre and writing the first of many novels to come. She currently resides in the Midwest with her husband and two children. 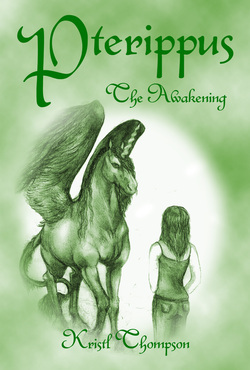 "Pterippus: The Awakening" is her first published novel, and the first of many in the Buthania Chronicles series. Between our world and theirs, a storm threatens the veil that binds them. Fate has decided there is only one who can restore the balance...she just doesn't know it yet. How can Lilly be the key to their salvation when she can barely control the dangerous magick within her, magick she never knew existed? There are those who carry the knowledge of her potential, and those who would stop at nothing to prevent her from reaching it. Until now, Her Majesty Dagana has been still, preparing in secret for the coming war, awaiting the day her adversary will arrive to be trained by the great Masters, when the forces of dark and light will collide. Beliefs built from childhood will combine with those never imagined to create an understanding that will prepare Lilly for her destiny, bridging the gap between what was...what is...and what will be.